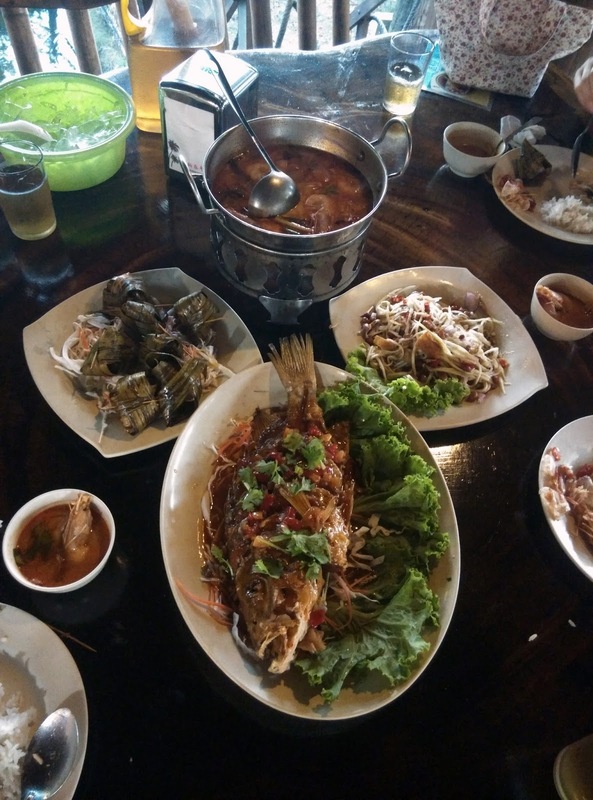 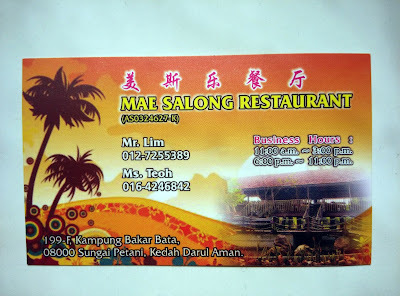 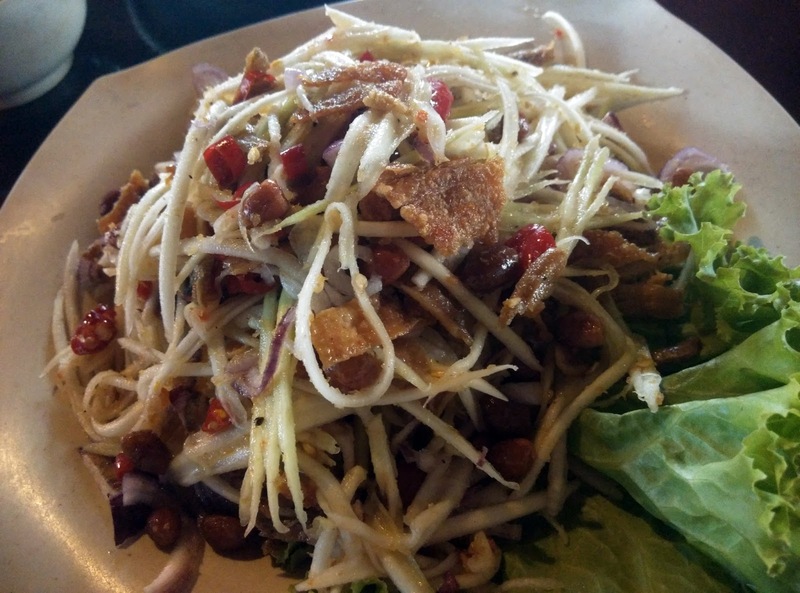 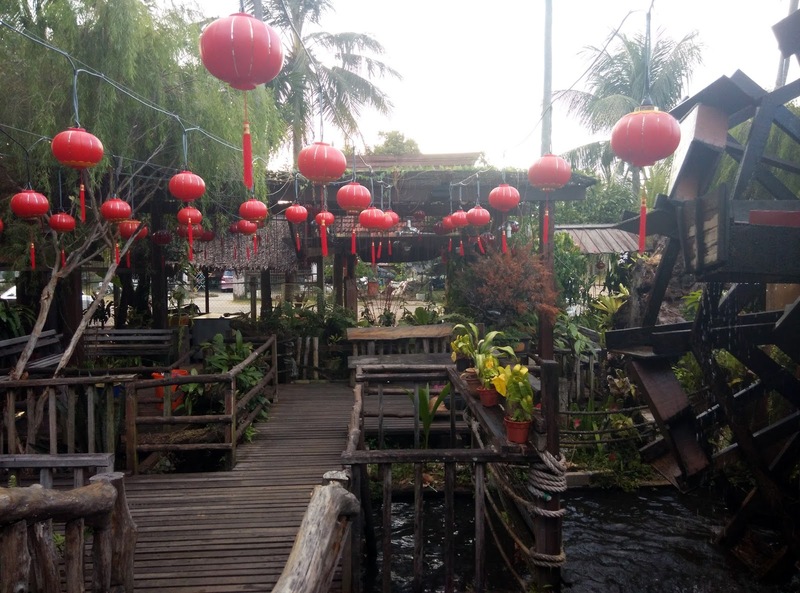 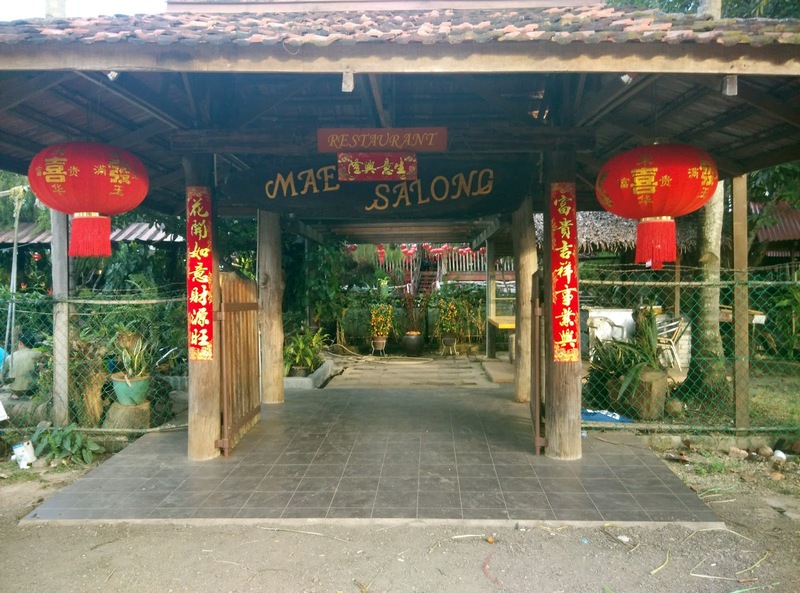 A couple of weeks before Chinese New Year I visited my parents in Sungai Petani and they brought me to Mae Salong Thai Restaurant based on a friend's strong recommendation. Since I did not bring my DSLR, my photos are of low quality. 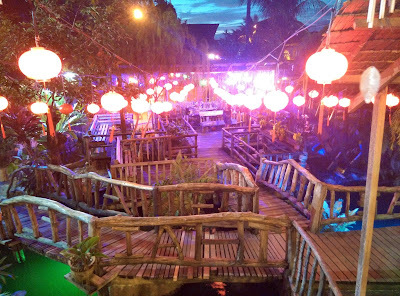 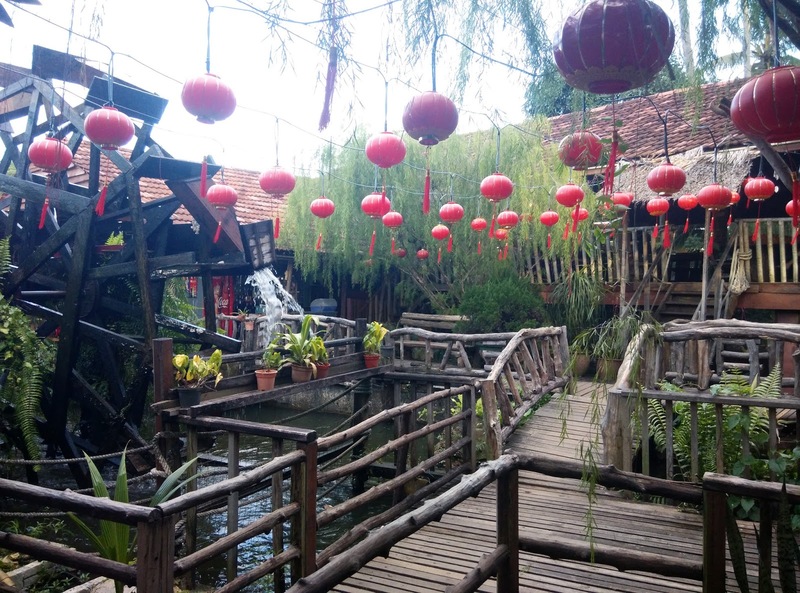 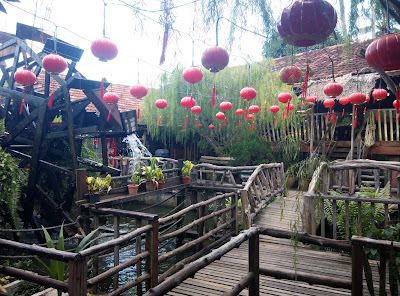 Located in a housing area far from the city center, this is hidden gem is known for its subtle relaxing environment infused with water features and tasty food. 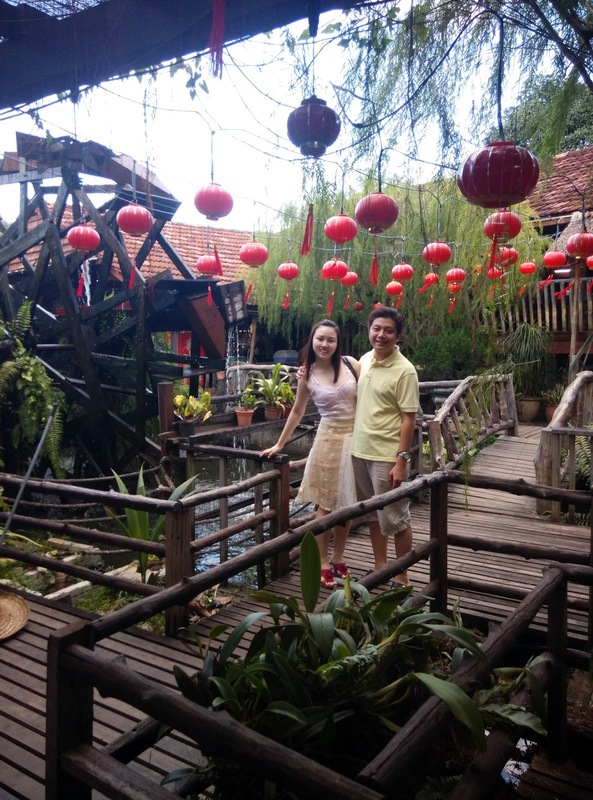 We were in awe by the tropical garden. 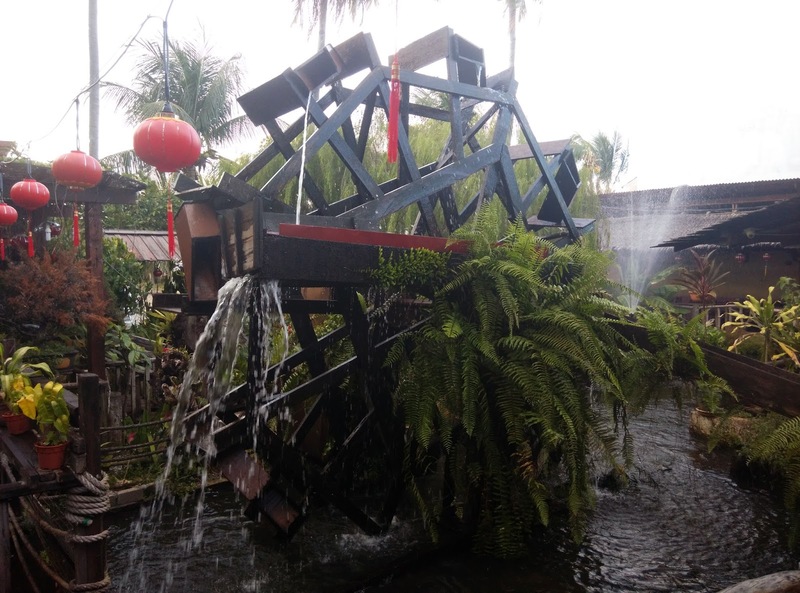 The friendly owner told us most of the deco such as tables, chairs, huts, bridges and even this massive windmill are built by her husband. 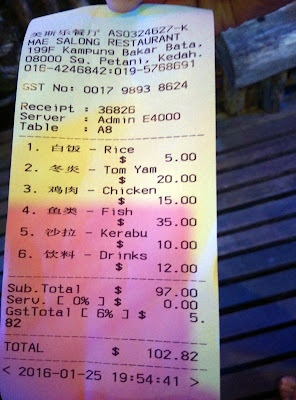 We ordered 4 dishes and a bucket of rice for 4 persons. 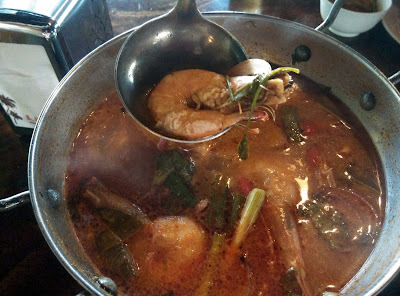 We all share the passion for seafood tom yum (RM20) but it was too sour to taste. The sweet and sour fish (RM35) is crispy but hard. 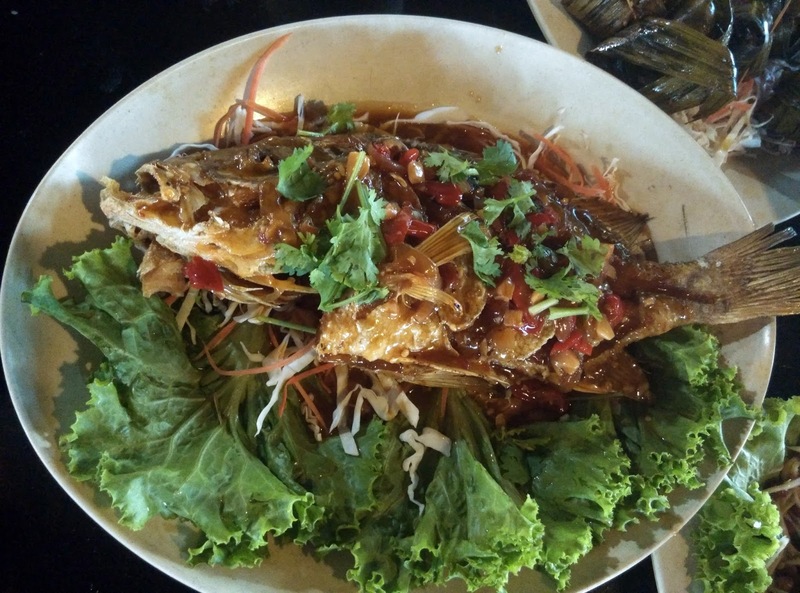 Maybe we should order steamed fish next time. I ain't a big fan of kerabu (RM10) but this one is superb. 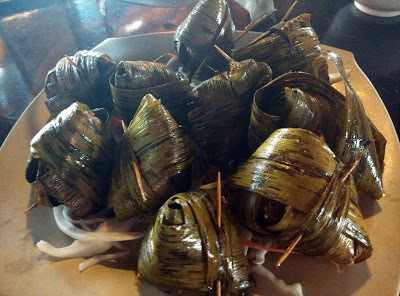 All of us agreed that pandan chicken (RM15) is the best. 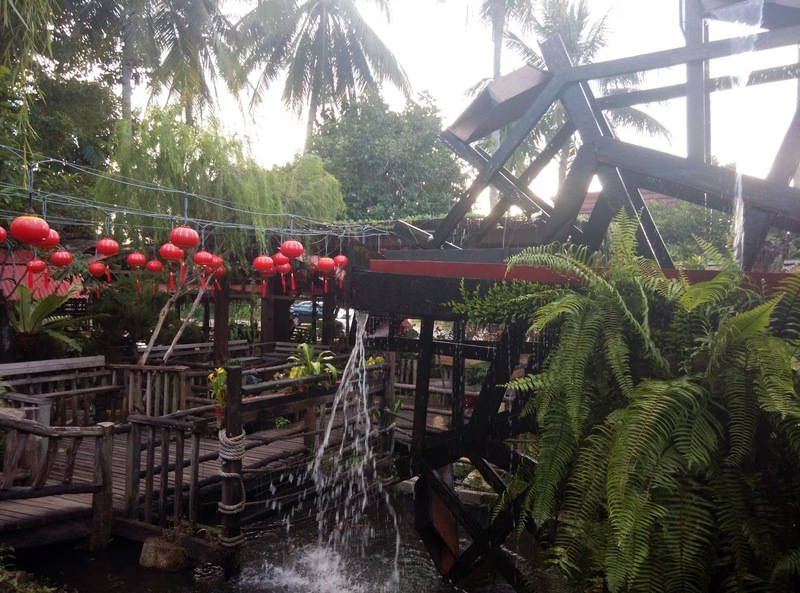 Can you spot the words in the bridge railing? So creative! 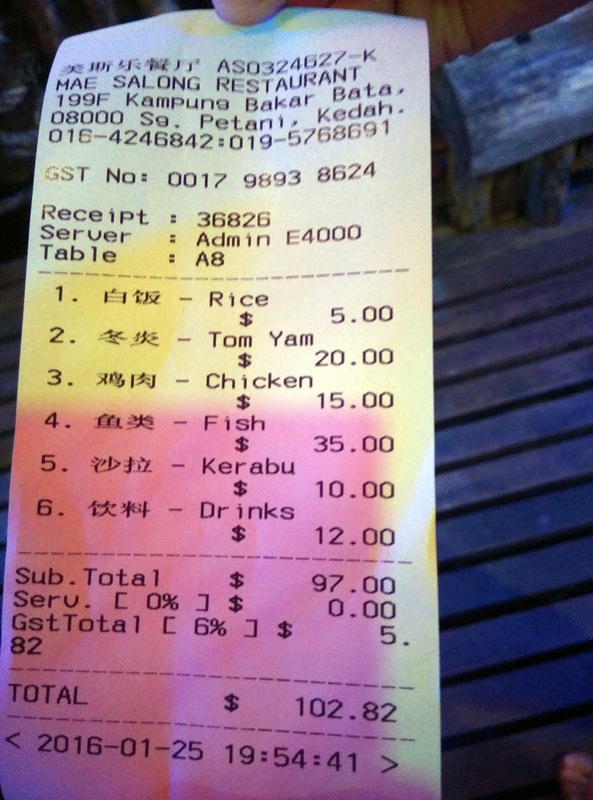 We feel that the drinks is kinda pricey for a kopitiam type of drink.